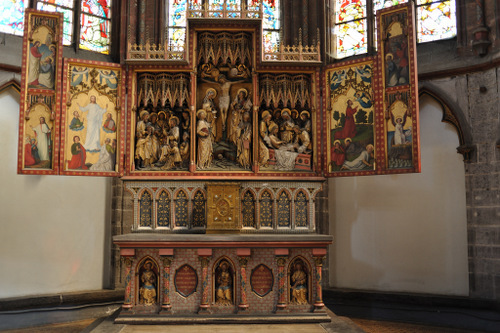 The high altar is decorated with an altarpiece whose shutters evoke episodes in the life of Saint James the elder. 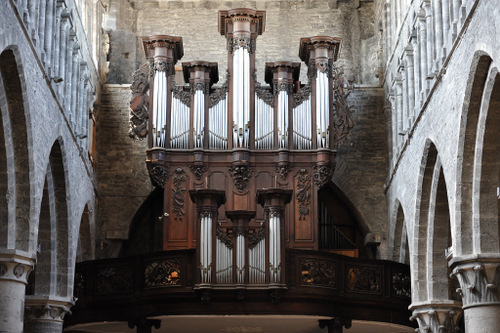 It is the centre piece of the neo-Gothic furnishings with which the church was provided at the end of the 19th century at the inspiration of the baron of Béthune. 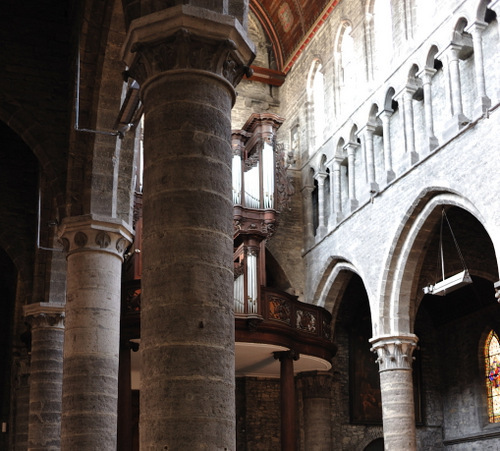 The exploitation of the stone of Tournai and its finishing by stone masons has provided an architecture with typically local characteristics, with its drum like columns and its capitals with ribbed and coiled leaves called crochets. 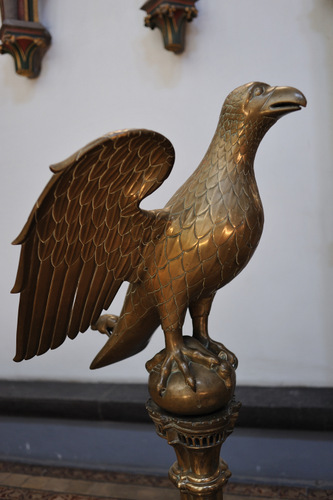 The choir houses an eagle-lectern dating from 1411, one of the rare pieces which escaped the rage of the iconoclasts who ravaged the church in 1566.It bears witness to the expertise of the brass founders of Tournai. 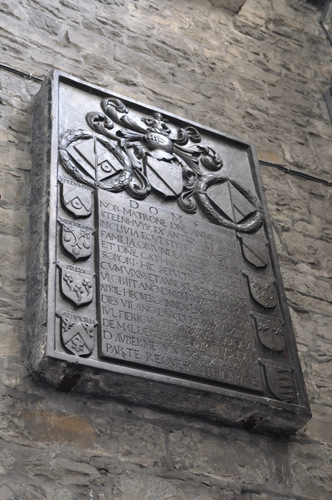 A number of tombstones carrying epitaphs and coats of arms from the 16th 17th and 18th centuries have been replaced in the porch. They remind us that the church of Saint James was the sanctuary for one of the most aristocratic parishes of the town. 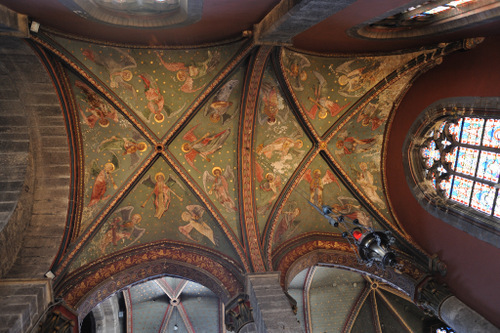 The church of Saint James is on the list of exceptional heritage sites of the Walloon region. Its existence has been attested to since 1167 in the shape of a Romanesque chapel. Its success is explained by the cult of Saint James and the pilgrimage to Compostelle, experienced at that period. Effectively, the sanctuary is on the trail which leads from the county of Flanders to Compostelle via Tournai, its Episcopal city. Behind the late 12th century tower stretches a nave built a century later which still has its original frame. This monument testifies to the architectural characteristics of Tournai with its columns topped by capitals with vegetal decorations well as its interior and exterior galleries confined by colonnades or pillars.